This is a repackage of Bethesda's first person hand for third person use. 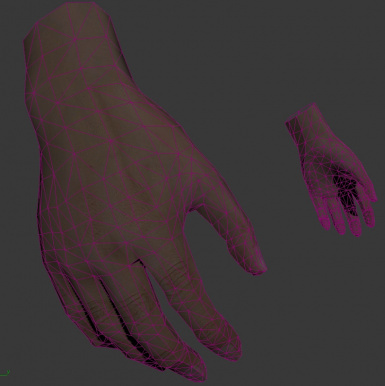 Update: I slightly edited the UVM, only moved 6 vertices references to help match UNP original. 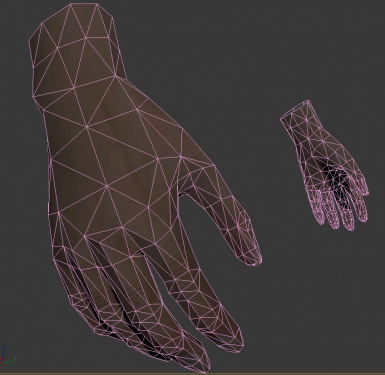 Includes this update to the first person hands. Added Package for Temptress race users. Added Package for Lunari race users. Note: custom UNP body has seam on left wrist (also there with default hand), only includes third person hand, first person uses CBBE. Added Package for The Ashen race users Note: only includes third person hand. Might work with other races, I haven't tested yet. Thanks to stuffed_bunny for the idea. UNPCv2 Project <- no longer on the nexus, you can search the web for his site. Released for Modder's Resource as well.